I had a pretty decent weekend. Today? Not so awesome. But I don’t want to talk about it today. So let’s talk about the weekend! I actually did something worth blogging about, finally. It was a collaborative effort, really, between my husband and I. 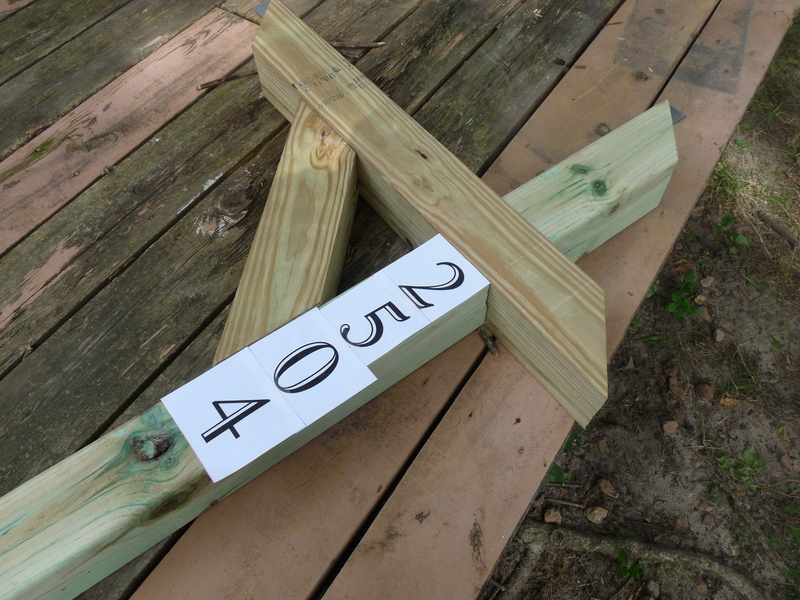 We made a new post for our mailbox. 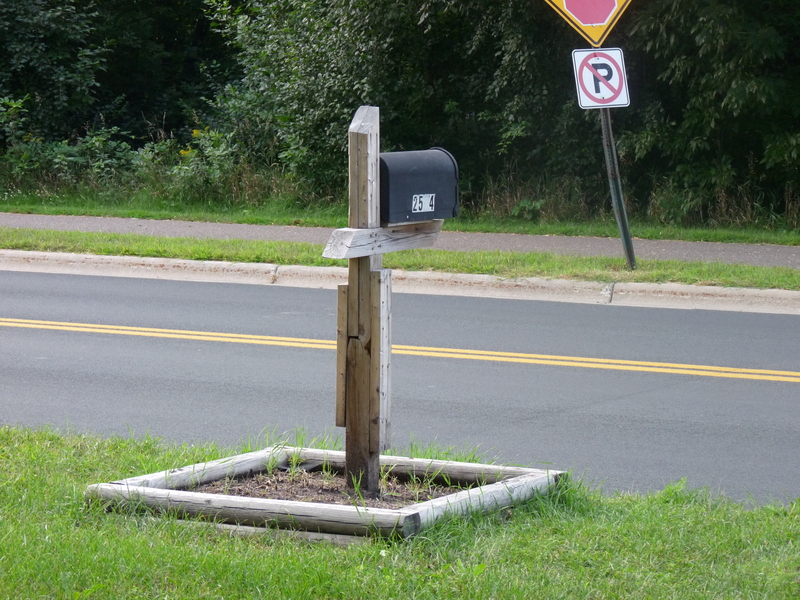 The story of our mailbox goes back to when we bought the house, over 3 years ago. The house was foreclosed, and vacant. 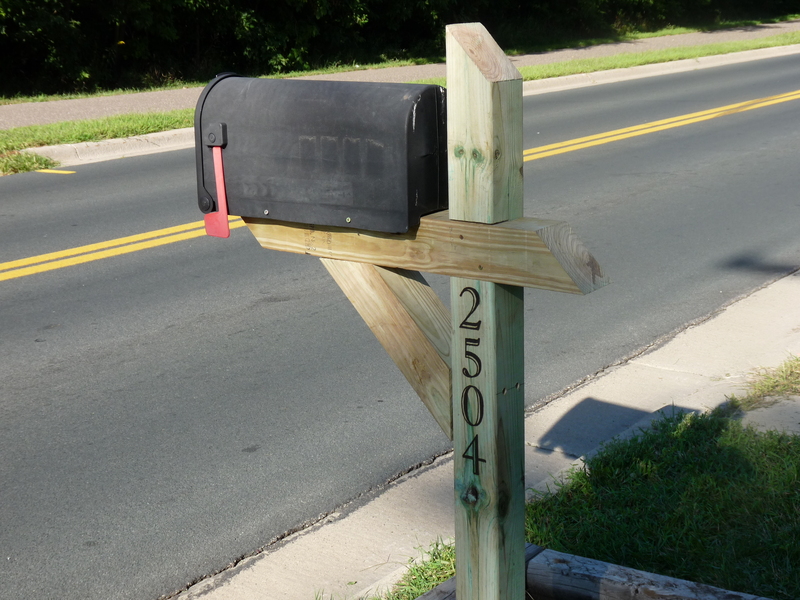 And at some point during that time, the mailbox had been damaged, and the post was broken in half. There was a ton of work to do at the house, so as a “temporary” fix, my husband put it back together with a few screws. That, surprisingly, lasted until this last winter, when it snowed a whole heckuva lot and it got knocked over by a plow. So my husband fixed it. And then it got knocked over by a plow a second time. Did I mention that this was in the dead of winter? In Minnesota? 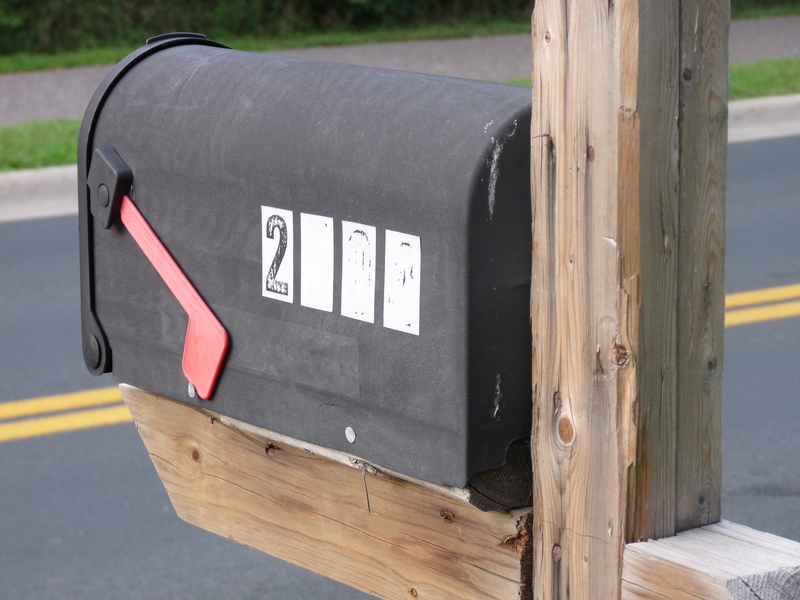 In case you’re not familiar, that means that the mailbox was nearly covered by snow at times and the ground was completely frozen. So there’s not a real fix that could have been done during that time. So we ended up with a sort of Frankenbox. Well, now that the husband is off of his crutches, he’s able to fix things like this. 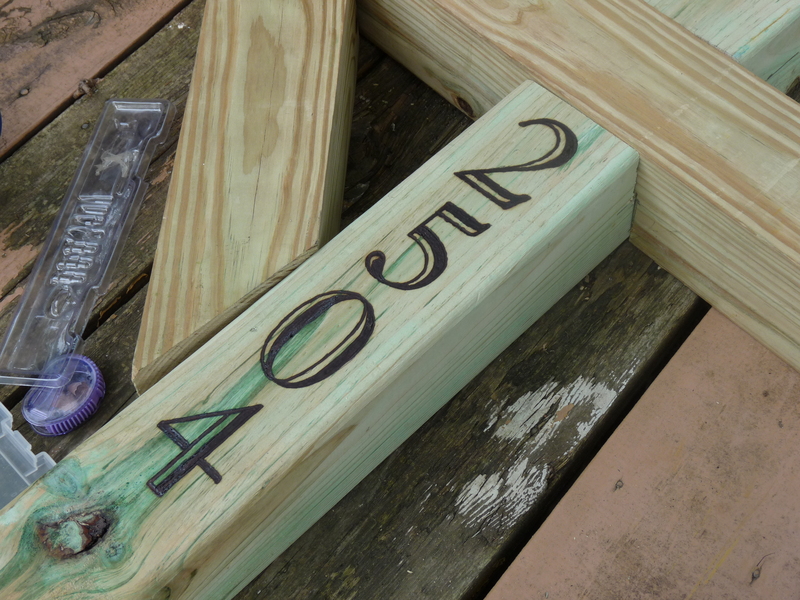 Normally this is the type of project he would do by himself because I have few skills to add to something like this. But we had another problem. 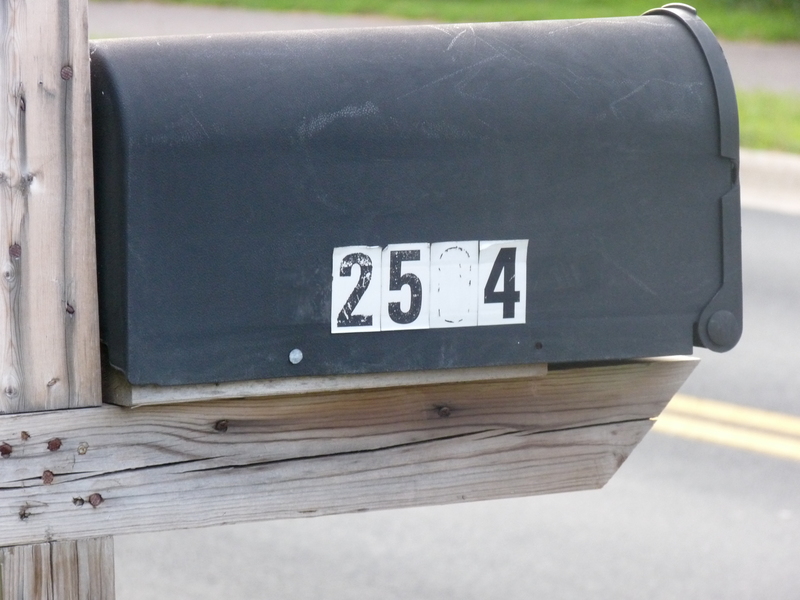 We had some stickers on the mailbox with our house number on it, and they weren’t looking too good anymore. And yes, the stickers were situated completely different on either side. My husband and I each took a side, only to later realize that we had somewhat different ideas about how it should look. So I decided to try a different approach with our numbers this time. First, I printed out large numbers in a font we liked. I cut them out and taped them together vertically. This stuff is great. 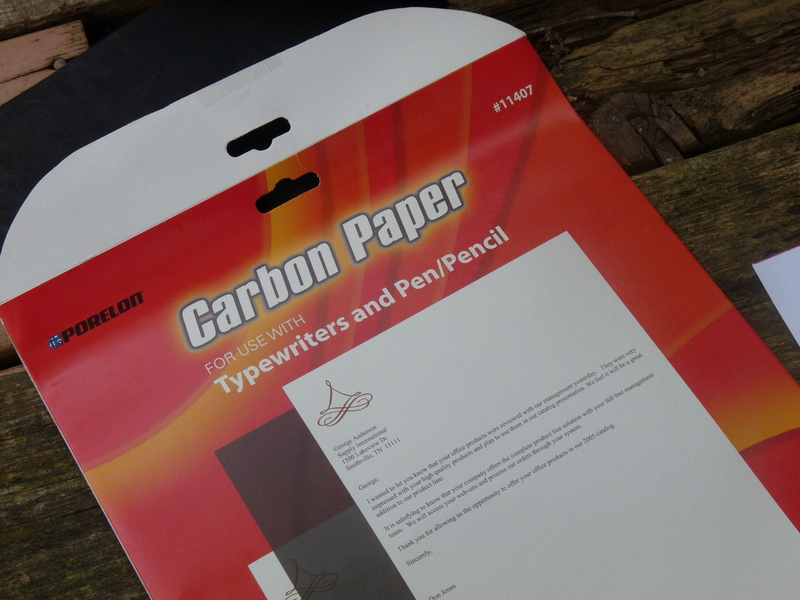 If you’re crafty at all, you should get some. It comes in handy. 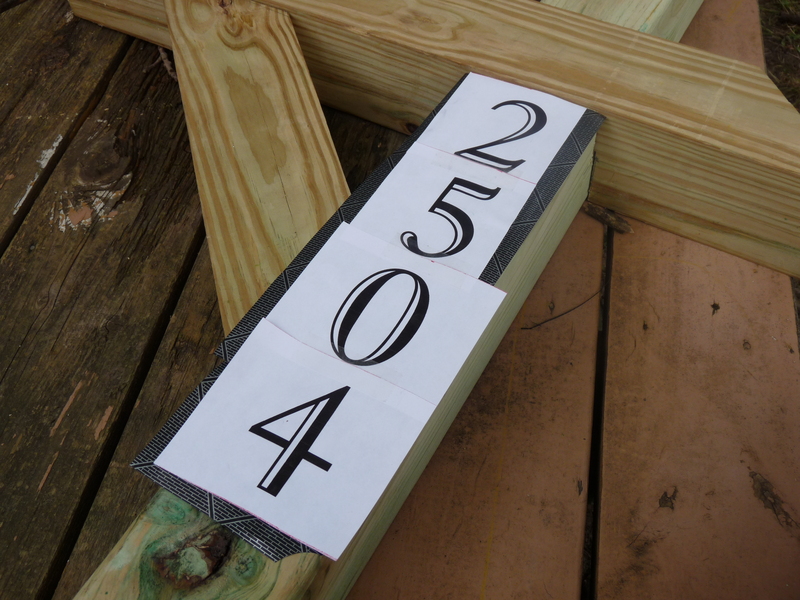 I cut some out to fit behind the numbers, and used double-sided tape to stick them together. Double-sided tape: another must in my crafting life. 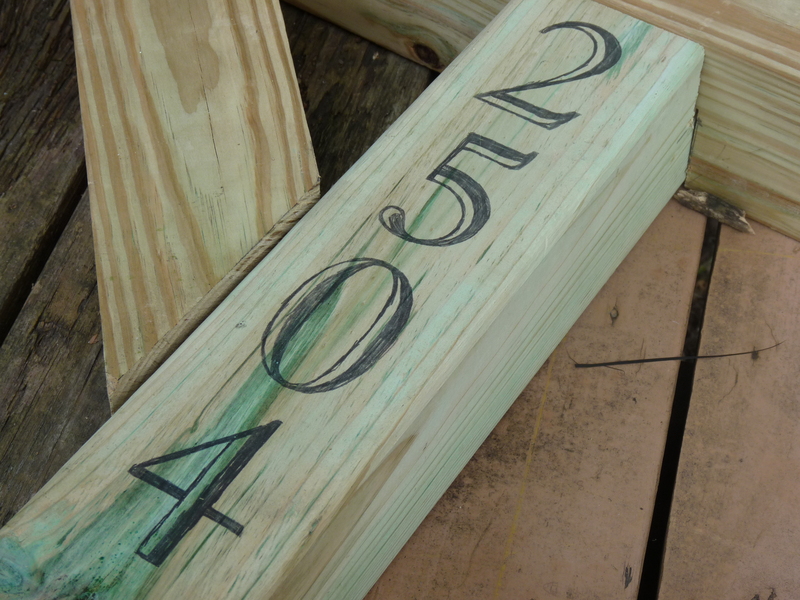 I also used a little bit of it to adhere the numbers & carbon paper to the wood. Then I traced it on. This worked better after I sharpened the pencil really sharp. Totally finished! That’ll stand the test of time and the elements and all that. My husband gave it to me as a gift quite a while ago and I thought it would be totally awesome to play with. But then I never had anything to do with it. So now that I finally had a project, I thought I’d pull it out. What I couldn’t find was the instruction manual, so I had to make it up as I went along. 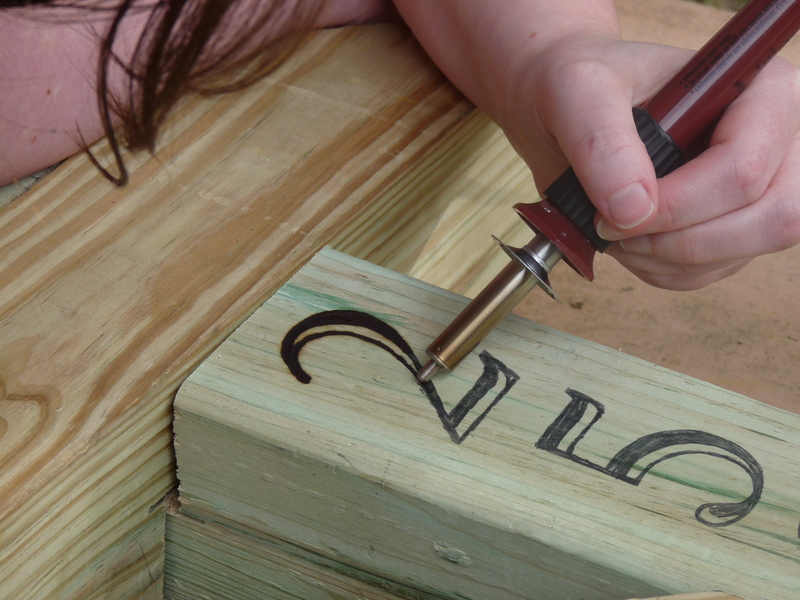 After messing around with different tips and a scrap piece of wood, the rounded one seemed best for what we were doing. Who knew that the longest part of this process would be waiting for the tool to cool off enough to change tips? The thing heats up pretty fast but takes F O R E V E R to cool down. 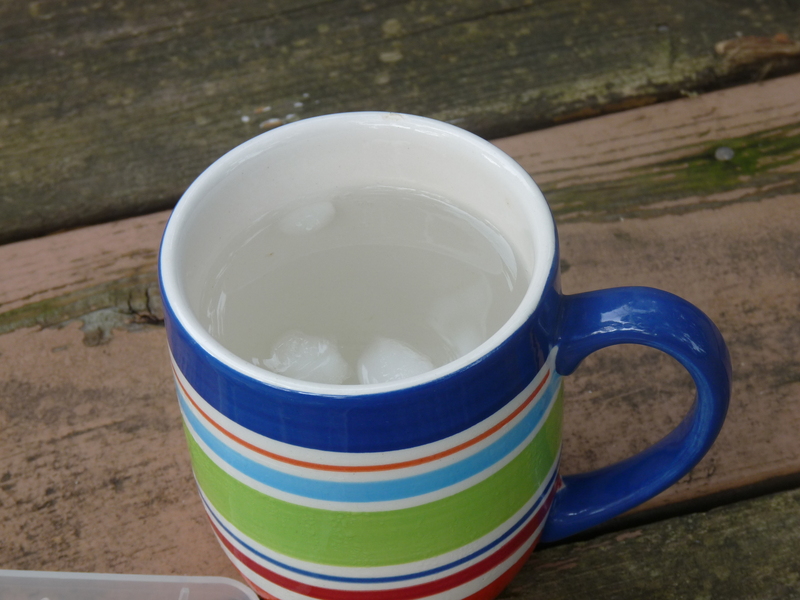 I made sure to have a cup of ice water nearby. Because this tool gets DANG HOT and will burn your finger to smithereens if it touches it. Does anyone say “smithereens” anymore? It makes me think of Bugs Bunny for some reason. Anyway. 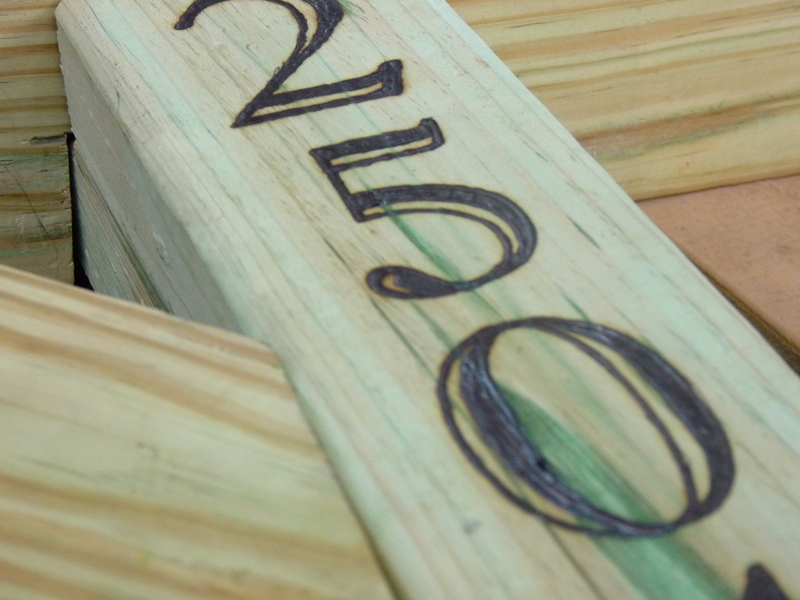 I very carefully traced the traced numbers with the woodburning tool. 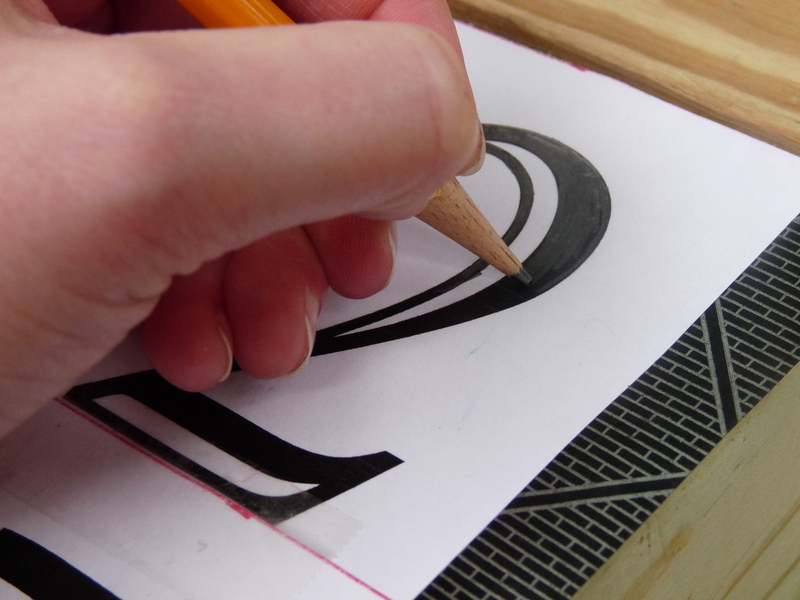 I found that the tool made smoother lines if I made longer strokes, and kept the pressure even, but not too hard. Also, if you’ll notice, I did NOT take these pictures. I didn’t want anything to take away focus from the burning hot tool in my hand. Anyway, I just went at it, carefully, until I had completed all the numbers. Ta-da! For real this time. 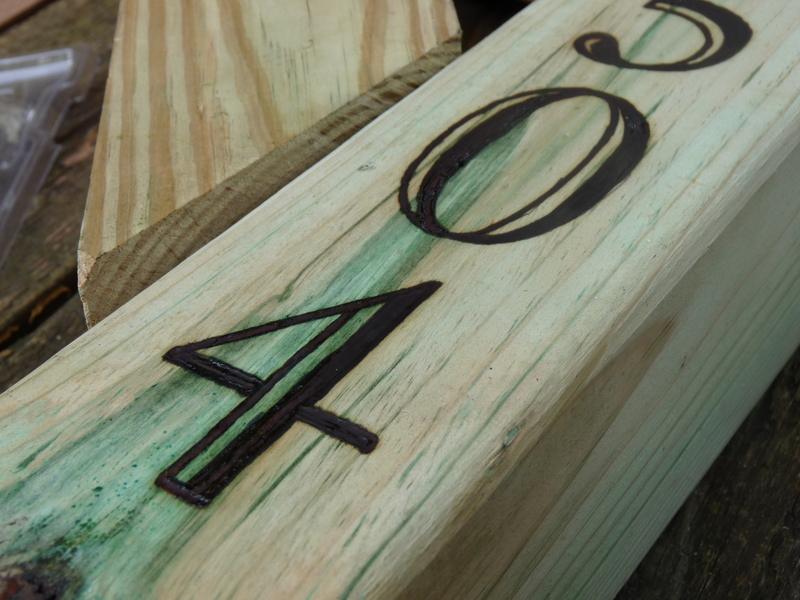 The wood we used was pressure treated, hence the blueish greenish -ness. And the parts where it’s most blueish greenish ended up a bit “sappier” looking than the rest. But I’m ok with that. I think most people aren’t going to look at it this closely. And if they do, they’ll look really odd. I repeated the process on the other side, only when I traced it initially, I only outlined the shapes instead of filling them all in. It was actually a lot more difficult that way. I also had a little trouble keeping the lines as even. 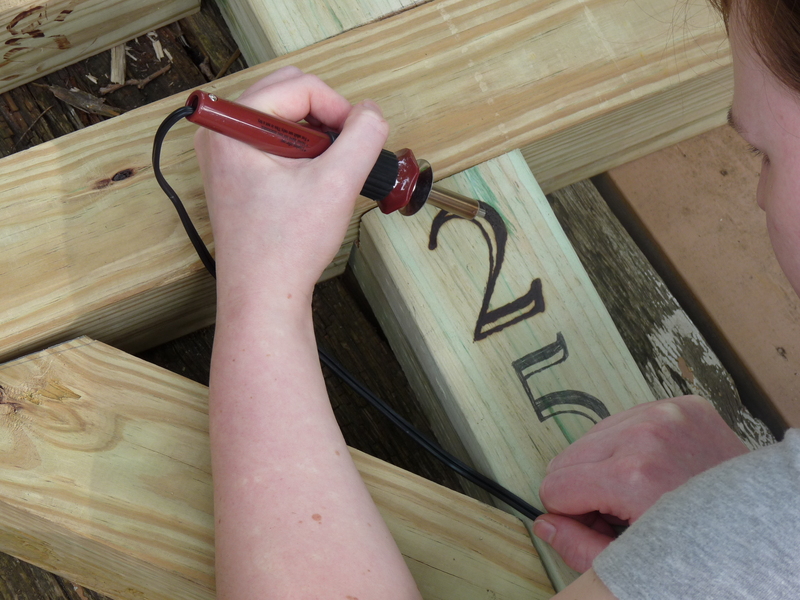 I’m not sure if it was because the wood was a little less consistent in firmness with the grain, or if it was because the tool got a buildup on it that I couldn’t seem to get off. Again, no instruction manual, so I don’t know if there was a way I should have cleaned it between sides or what. Anyway, it still looks alright from a distance, and just a twinge warbly up closer. And overall, a vast improvement. Yay! 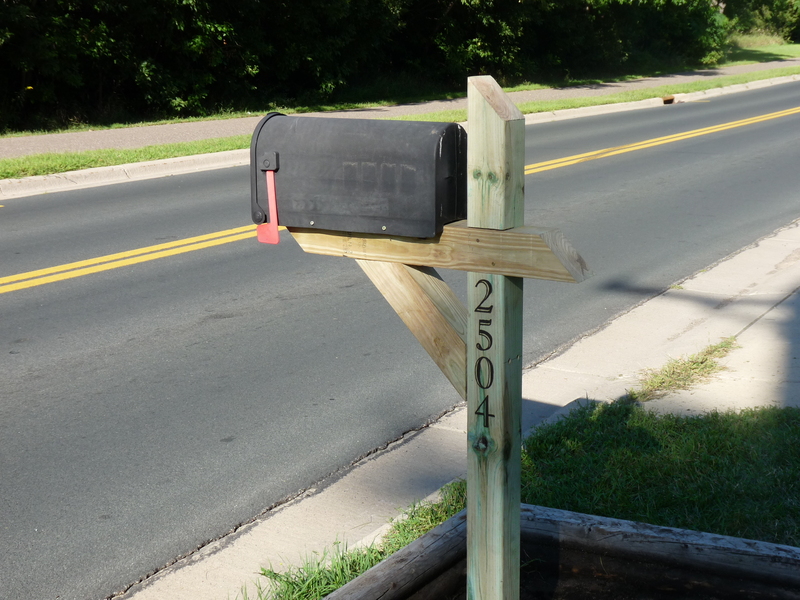 We finally have a real, grown-up mailbox. I really don’t have any idea how this will weather, but I’m guessing after a Minnesota winter I’ll have some idea. In any case, for now I like it! 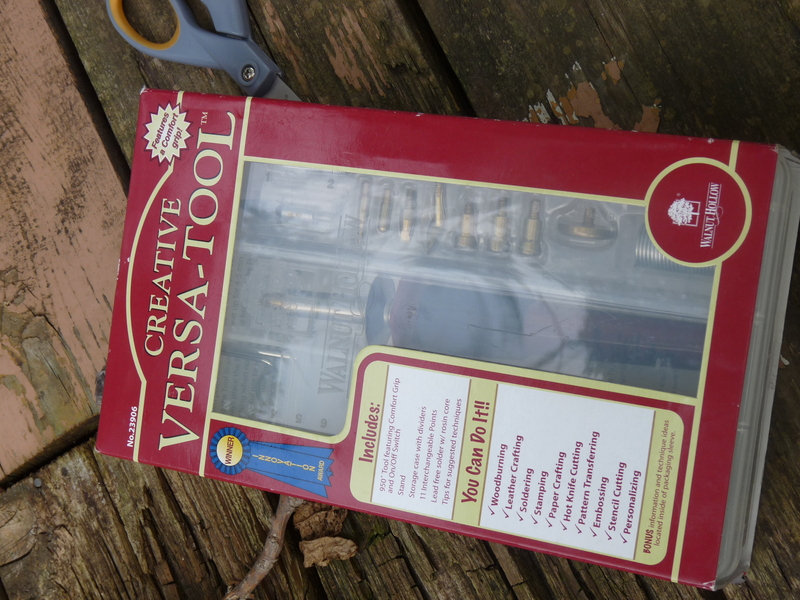 I love my Versa Tool! I use it for cutting synthetic fabrics that I don’t want to hem later. It’s pretty snarky! It looks great. Will the snow mounds cover the number?